If you’re an avid home coffee drinker or barista, do you have a coffee bean roaster? If not, this Behmor 1600 review is for you! Even if you already have a roaster, you may be shopping for a new one so this review is also for you. 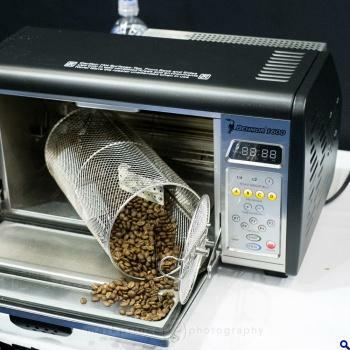 Coffee bean roasting is normally done commercially but for the past few years it has become more and more popular to do at home using roasting machines like the Behmor 1600. This Behmor 1600 review is focusing on the upgraded Behmor 1600 Plus that came out in 2014 with more manual capabilities that users had been requesting for a few years. If you have the original 1600 and decide to get the 1600 Plus upgrade kit or the new model, it is a good idea to read the user manual to make sure you understand the changes. The basic look of the roaster is the same and even though the price went up some, it is still at a medium-low so it is within the buying power of many coffee lovers. The Behmor 1600 Plus is referred to without the Plus in this article. 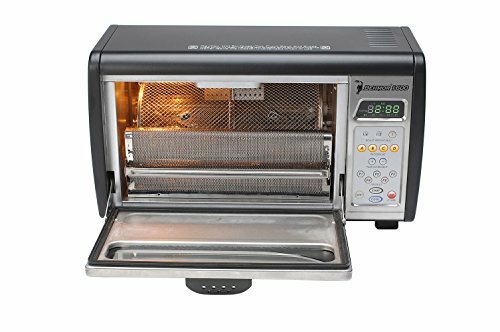 Even though the Behmor 1600 roaster looks like a microwave, it functions very differently and it’s recommended to use it somewhere other than the kitchen because it gives off some smoke. I keep my Behmore 1600 on the patio next to the BBQ on a metal cart with wheels and it stays covered while not in use. When I get ready to roast beans, I roll it out away from the house. This way I can barbeque while roasting coffee beans and serve my guests the best cup of coffee they have ever had along with the best burger. On the door of the original Behmor 1600, it says “smoke-less gourmet coffee roaster” but smoke-free does not mean free of smoke. It just means less smoke than other roasters. The upgraded Behmor 1600 Plus says “gourmet coffee roaster with smoke suppression technology” which cuts down the confusion. This roaster smokes very little and usually only on the darker roasts due to its unique patented smoke reduction technology. One very important thing to remember is that the Behmor 1600 needs a lot of voltage to run properly and it should not be plugged into an extension cord unless it is one of the 3-prong safety orange cords that is 10 feet long or less. 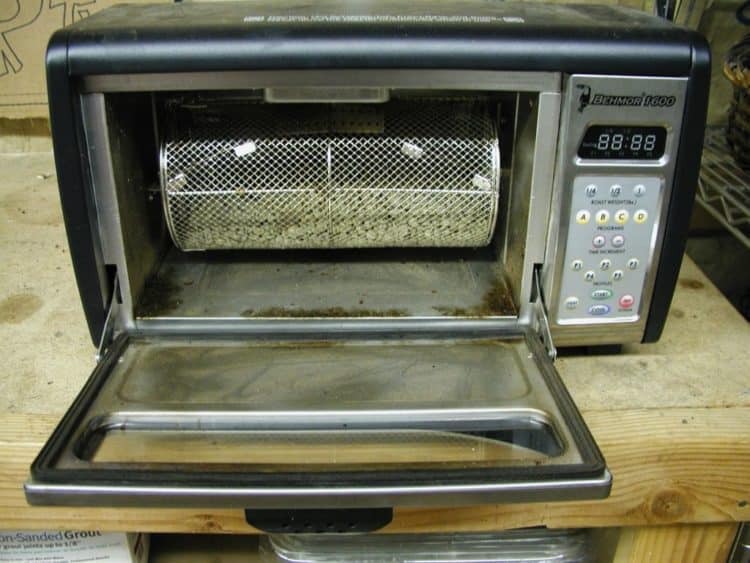 This roaster will not start up after a batch is done without you turning it off and back on. You can roast three different size batches of 1/4, 1/2, or 1 pound for which the larger the batch, the longer it will take. The batch is automatically programmed with five profile choices for different lengths of time that include cooling time or you can roast manually. The program buttons act in an opposite way when using manually. 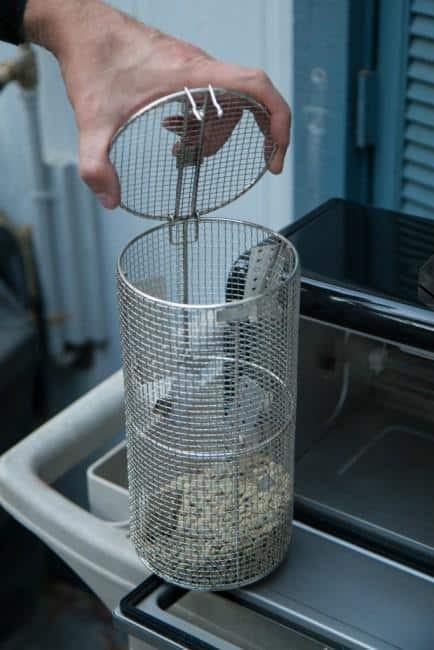 The chaff from the beans cracking is collected in a removable tray during roasting. For more details, click here and watch the video on Youtube called “Behmor 1600 coffee roaster, get all the chaff out with this technique! If you’re a coffee lover like I am, being able to roast your own coffee is really a treat. Not everyone can afford the Behmor 1600 but imagine what it must feel like to be a coffee farmer who has never tasted the coffee he grows because he doesn’t have a coffee roaster or brewer and maybe not even a coffee grinder or coffee maker due to not being able to afford them. This is where Joe Behm, the founder of Behmor, comes in. He started the Behmor Inspired program to help farmers in the countries of Guatemala, El Salvador, Costa Rica, and Burundi to be able to drink the end product of their work by donating over 300 Behmor 1600s to communities. You can read the story by clicking here. It made me feel good to know that when I bought my Behmor 1600, I was supporting a coffee farmer many miles away as you would be doing when you buy one. 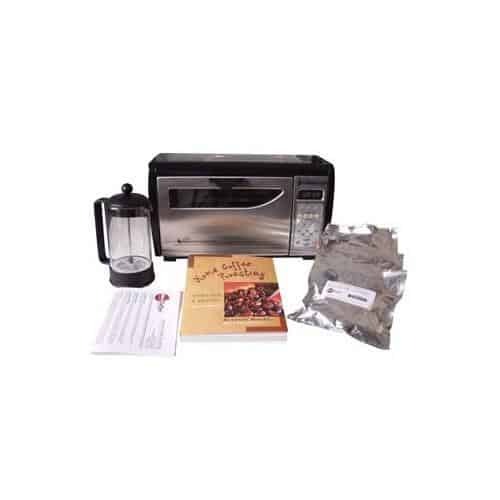 With that said, may this Behmor 1600 Review on coffee roasting 101 help you decide on who you want to buy this coffee roaster for as it would make a wonderful gift for that coffee lover you know.